Liverpool are cruising in their Premier League opener against West Ham at Anfield leading 2-0 at halftime. And Naby Keita has been singled out for praises by the Liverpool fans. The new signing has been at the heart of everything good at Anfield with his driving runs and well-timed passes. In the 18th minute, Keita picked up the ball from midfield, went on a brilliant run and played a perfect pass for left-back Robertson to square for Salah to tap in for Liverpool's first goal of the season. He was also involved in the build-up to the 2nd goal as he jinked past two West Ham players to curl a pass to Salah on the right wing, the Egyptian's cross bounced off a West Ham defender for Robertson who played a one time cross to the far post for Milner to set up Mane for another easy tap-in. The 23-year old looked like a perfect fit for Jurgen Klopp's style and seems like a great bargain for Liverpool. Naby Keita is absolutely brilliant. Naby Keïta skinning players in his first Premier League match. My drug. 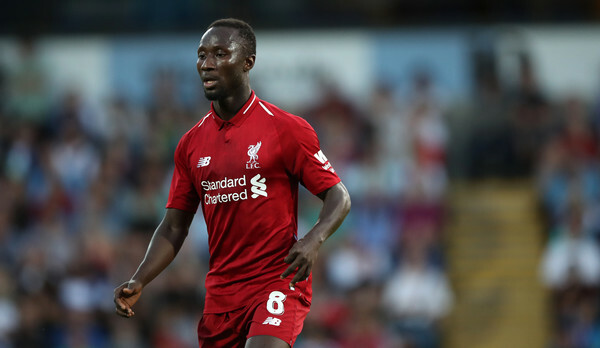 Naby Keita looks a wonderful addition for Liverpool. Dynamic. "Naby Keita has done more in his first 30 minutes in the Premier League than Bakayoko did all of last season." I would say something about Naby Keita vs De Bruyne but if I speak, I am in big trouble. I do not speak.